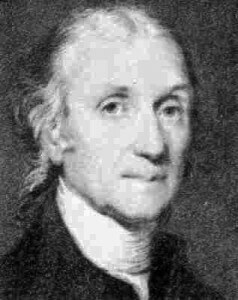 February 24 marks the passing of Henry Cavendish. Cavendish was an English natural philosopher who made a meticulous study of air and calculated the density of the Earth. Using the data from this experiment, Cavendish also determined an accurate composition of the atmosphere where he found 79.167% was phlogisticated air (nitrogen mostly) and 20.833% dephlogisticated air (oxygen). He went on to question whether phlogisticated air was made up of many different airs. Cavendish’s theory would later be proven by Joseph Priestley. We now know that Cavendish’s ‘common air’ is a mixture made up of mainly five things: nitrogen, oxygen, water vapor, argon, and carbon dioxide. At sea level, dry common air can contain about 78% nitrogen, 20% oxygen, 1% argon and 0.03% carbon dioxide. Depending on humidity, air can contain varying amounts of water vapor. The rest is a mixture of minute amounts of other compounds. where M and m are the two masses and r is the distance between their center of mass. G is the proportionality constant Cavendish was attempting to find. Cavendish’s apparatus involved a pair of heavy lead weights suspended on a stretched wire to act as a torsion balance. These weights were brought in close proximity to another pair of weights when these weights were moved away from the hanging weights, the attraction between them would cause the wire to twist. The rate of oscillation of the wire could be used to determine the amount of force acting between the weights. In Cavendish’s original experimental design, this force was on the order of 1×10-7 Newtons of force or about 1/1000th of the weight of a grain of salt. His measurements were so precise, his value of G was within 1% of the accepted value of 6.67×10−11 m3/kg·s2. He used this value to determine the average density of the Earth and in turn, calculated the mass of the Earth. Henry Cavendish was supported through a stipend granted by his father, Lord Charles Cavendish. When his father died and Henry became Lord Cavendish, he was one of the wealthiest people in England. He set himself up in his private home laboratory to avoid interactions with others. One of his main contacts with other people was through his private library. He would loan books to men who were properly vouched for. He would also check books out for himself. If he needed one of his books, he would enter the loan into his ledger. This solitary life was extended to his research. He rarely published his findings. After his death, several sealed packets of his notes were discovered and edited by James Clark Maxwell and published nearly 70 years later. 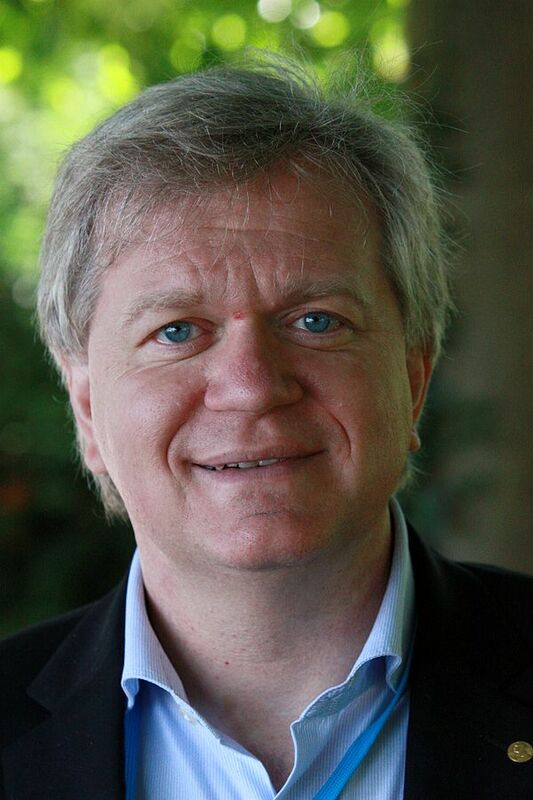 1967 – Brian Schmidt was born. Schmidt is an American/Australian astronomer who discovered the expansion of the universe is accelerating. Previous theories held the universe’s expansion was slowing down and Schmidt’s team set out to measure the rate of deceleration using the red-shift of Type 1a supernovae. Their measurements showed the opposite and they spent the next few weeks trying to find their error. Once they decided they hadn’t made an error, they published a paper with Adam Reiss. Another supernova group led by Saul Perlmutter discovered the same thing at nearly the same time. The accelerating universe discovery would earn all three the 2011 Nobel Prize in Physics. 1923 – Edward Williams Morley died. 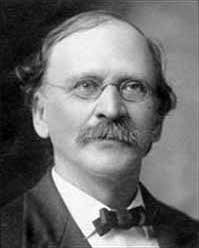 Morley was an American scientist best known for his extremely accurate measurement of the atomic weight of oxygen. Atomic masses used to be measured based on oxygen having an atomic mass of exactly 16. This practice made sense until isotopes were discovered. Morley was studying the gases that made up Earth’s atmosphere and their weights. He spent eleven years improving the accuracy of his equipment until he produced an atomic weight measurement accurate to 1 part in 10,000. Morley attempted with A. A. Michelson to detect the ‘aether’ in the Michelson/Morley experiment. The experiment was designed to provide proof of the existence of a luminiferous aether that propagated lightwaves through space. The null results of this experiment would eventually lead to Einstein’s theory of relativity. 1913 – William Summer Johnson was born. Johnson was an American biochemist who developed the first artificially produced steroids and considered one of the leaders of the field of organic synthesis. He produced several techniques to simplify the synthesis of several steroids and vitamins. 1866 – Pyotr Nikolaevich Lebedev was born. Lebedev was a Russian physicist who was the first to prove light exerts mechanical pressure on the surface it is shined on. He accurately measured the pressure of light on a solid body which gave the first quantitative proof to Clark Maxwell’s electromagnetic theories. He was responsible for the popularization of physics to a generation of Russian scientists. 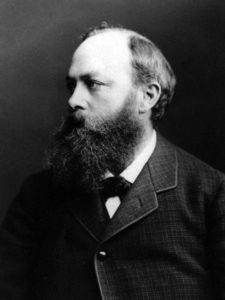 1841 – Carl Gräbe was born. Gräbe was a German organic chemist who discovered a method to synthesize the distinctive red alizarin dye with Carl Liebermann. Alizarin red has been a color found in textiles dating back to the Pharaohs of Egypt. This color was produced from the flowering plant called madder. Madder grows all around the “Old World” regions of Asia, Africa, and Europe. Even though this plant grows nearly everywhere, it took a lot of madder to make even a little bit of dye. Gräbe and Liebermann isolated the compound responsible for the red coloring in madder and developed a method to artificially synthesize the alizarin compound from anthracene. This made the dye significantly less expensive and started a boom in artificial dye development in the textile and chemical industries. Gräbe was also the chemist who introduced the nomenclature used to describe bond locations on benzene rings. Benzene is a ring of carbon atoms forming a hexagon. When two functional groups attach themselves to different points of the hexagon, different prefixes are used to differentiate different patterns. There are three different ways two functional groups can connect to the carbon atoms of the benzene ring. The first is the two are opposite each other. The second is where a gap of one carbon atom between them and the third is when they are attached to neighboring carbon atoms. Gräbe introduced the use of the prefixes para-, meta-, and ortho- to distinguish between these arrangements. Para- is added to the name the first grouping, meta- is the prefix for the second, and ortho for the third. 1811 – Eugène Melchior Péligot was born. 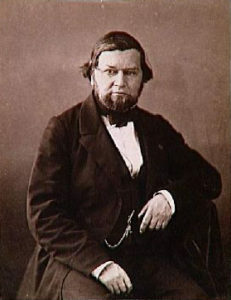 Péligot was a French chemist who first isolated the element uranium. He produced the metal sample by heating a salt of uranium with potassium. He also discovered the methyl radical with Jean-Baptiste Dumas while experimenting with methanol. 1810 – Henry Cavendish died. 1799 – Georg Christoph Lichtenberg died. 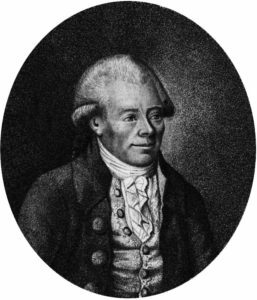 Lichtenberg was a German scientist whose main research was with electricity. He discovered when a static charge is introduced to a dielectric material, interesting branching patterns appear. These patterns are called Lichtenberg figures. 1664 – Thomas Newcomen was born. Newcomen was an English ironmonger who constructed the first practical atmospheric steam engine pump to remove water from coal mines. This engine took steam from a boiler to push a piston up. Cold water was allowed into the piston chamber which cooled the steam. The vacuum formed by the cooling steam would pull the piston down to start the process all over again. The piston’s movement would be linked to anything that required the back and forth repetitive motion. The invention of the Newcomen steam engine marks the beginning of the Industrial Revolution. 1582 – The Gregorian calendar was created. The calendar we use today was created by Pope Gregory XIII. He reformed the previous Julian calendar to its current form by papal bull. The modified calendar introduced a leap day every four years and the date format would include a year, month and day number.